Throughout his first term on the Hamilton County Council, Fred Glynn has prided himself on unifying colleagues in fostering efficient local government. He is confident he can continue to do so as he seeks re-election for his District 1 seat in the Nov. 6 election. A Carmel resident and former council president, he regards fiscal responsibility and budgeting for the county’s dynamic growth — which isn’t expected to slow anytime soon — among the community’s top priorities. Proper funding of county government functions, infrastructure and parks. Among other functions, the county council adopts budgets, sets salaries, establishes county tax rates and levies taxes to fund construction projects. A Republican, Glynn is facing a challenge from Democrat Jeremy Eltz, a fellow Carmel resident and first-time office-seeker. Glynn, 43, has lived in Carmel with his wife, Beth, for 18 years. They have a teen daughter and are members of St. Elizabeth Seton Church. He and his family volunteer at Gleaners Food Bank and participate in the annual Race for the Cure. 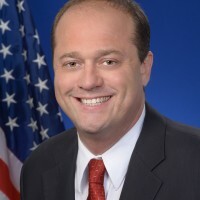 If re-elected, Glynn plans to continue advocating for sound fiscal stewardship, promote strategic budgeting practices and be accountable to taxpayers in an ever-growing county.